The popularity of Minecraft is flabbergasting. With over 70 million copies sold (20 million on PC alone), it ranks as the #1 best-selling PC game of all time and the #3 best-selling video game of all time. 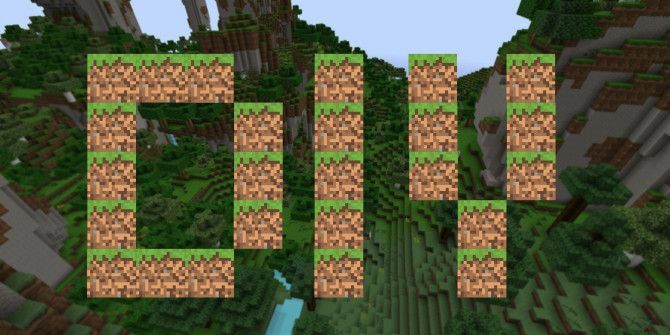 What’s amazing about Minecraft is its creative potential. People have made some mind-blowing in-game creations 6 Amazing Minecraft Creations That Will Blow Your Mind 6 Amazing Minecraft Creations That Will Blow Your Mind Alright. Maybe “blow your mind” is too extreme of an idiom for something as simple and not-so-mind-blowy as Minecraft. However, some Minecraft creations truly are jaw-droppingly awesome. In fact, there are quite a few Minecraft-related... Read More over the years, which is evidence that video games can be art. But with a bit of elbow grease, you can turn the wonder of Minecraft into reality. Whether they’re made for your kids or with your kids, these DIY projects will deliver. And don’t worry if you’ve never done DIY before Learn Basic DIY Skills Online With YouTube Learn Basic DIY Skills Online With YouTube While DIY falls in and out of fashion depending on the state of the economy, individual styles, and the availability of professionals and materials, there will always be someone, somewhere keen to learn basic DIY... Read More — most of these are easy enough for even the starkest of beginners. 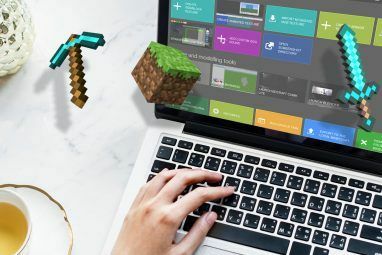 If you’ve never played Minecraft, it still isn’t too late to catch up The (Latecomer) Beginner's Guide To Minecraft The (Latecomer) Beginner's Guide To Minecraft If you're late to the party though, don't worry - this extensive beginner's guide has you covered. Read More ! The Creeper is the face of Minecraft. Despite being nothing more than a few polygons and a smattering of green and black, it’s so unique that even those who have never played the game know that this is an entity from Minecraft. There are a lot of DIY guides out there for creating your own Creeper (e.g. stuffed pillows, papercrafts, cakes, etc.) but this windup Creeper is a unique one. It’s relatively easy and doesn’t require any weird components other than a small gearbox. Retro 8-bit accessories How To Make Your Own Retro 8-Bit Accessories How To Make Your Own Retro 8-Bit Accessories Haven't you heard? 8-bit is the new black. Read More , sometimes known as pixel jewelry, are things like hairbands, bracelets, and keychain charms that are made using Hama or Perler beads. Each bead represents one pixel, which is perfect for a pixelated game like Minecraft. A simple Google search for “minecraft bead patterns” will turn up several ideas that you can undertake. For example, here are several Hama bead ideas for Minecraft and here’s a Perler bead Creeper model. Beads aren’t the only way to replicate Minecraft pixels. For example, this project uses wooden cubes as its pixels and teaches you how to make a replica of an in-game diamond pickaxe. You don’t need any real woodworking skills Beginner's Woodworking: 5 Skills You Need to Know Beginner's Woodworking: 5 Skills You Need to Know Many people shy away from woodworking projects simply because they haven't done it before. Here's a rundown of the 5 most important woodworking skills to help you get started. Read More to get this done; just some gorilla glue (to hold the wooden cubes together) and acrylic paint (for colorizing the individual cubes). You could stop there, but the Instructables guide takes it even further. Using a shadow box and a couple of LED headlamps, you can turn your pickaxe into a special display that can be mounted on the wall and lit up in the dark. The torch is a necessity in Minecraft. You need it at night and you need it when exploring the darkness of caves. The game just wouldn’t be the same without it, and while it isn’t as iconic as a Creeper, it’s still recognizable by anyone who’s ever played. This project may be a little complex if you’ve never dealt with wiring before, but you’ll be fine if you follow the instructions carefully. No soldering required! The end result is a hand-held torch that feels like a flashlight, except the light flickers in true Minecraft fashion. For a simpler version that uses a fake candle in place of the wired LED lighting, check out this simple Minecraft torch on Instructables. Perhaps more iconic than the torch is redstone, a type of ore found in the game that facilitates in-world electricity. Redstone is one of the reasons why Minecraft is so loved as it allows players to build a near-limitless number of automated mechanisms. Redstone gameplay is the exact kind of gameplay that would appeal to DIY enthusiasts, so no other project is more fitting than a DIY LED redstone lamp. This project results in a handmade cube that flickers with red light in the same manner that redstone ore flickers in the game. It’s a good project for getting your DIY feet wet, and it can be a neat decorative piece if made well. Note: The video is technically for glowstone, but all you have to do is change the printed texture to get a proper redstone. All other steps are the same. 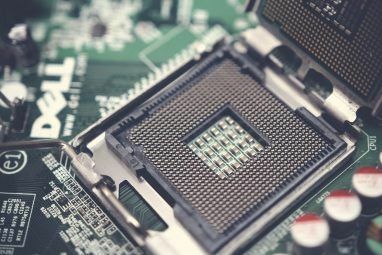 This is the most advanced and most involved project on this list, so if you’re an absolute beginner, you may want to put it off until you’ve gained a few fundamental electronics skills Beginner's Electronics: 10 Skills You Need to Know Beginner's Electronics: 10 Skills You Need to Know Many of us have never even touched a soldering iron - but making things can incredibly rewarding. Here's ten of the most basic DIY electronics skills to help you get started. Read More . The motion-activated creeper uses a PIR sensor to detect motion. When activated, the creeper plays a sound effect (“Tsssss…”) and moves forward using wheels taken from a remote-control car, then plays an explosion sound effect. After a 10-second pause, it resets. It could use a bit of refinement, but the process itself is a good way to get comfortable with the spirit of DIY: taking various components and bringing them together in creative ways. This last DIY idea is equal measures of digital and analog. There are services available where you can build things in Minecraft and then have those creations printed out as 3D models using 3D printer technology. Neat, isn’t it? Printcraft is a notable one. Log onto their servers (one available for US, one available for EU), claim a building plot, start building, and select PRINT when you’re done to receive the STL file that contains the model. Mineways is another option, except this one allows you to build whatever you want in single-player mode. The Mineways program will export the relevant portion of your Minecraft world into a 3D file that can be printed on a 3D printer. And there you have it: a handful of cool DIY projects that you can try out over the weekend. If you attempt any of them, come back and tell us how it went! Maybe even share a few photos if you can. What other Minecraft-related DIY projects do you know of? Do you have any projects that you’ve already made? Let us know in the comments below!